Offering you a complete choice of products which include jmd india paneer heating system. We are highly engaged in offering a unique range of Paneer Heating System. Our offered pasteurizer is manufactured using the high-end technology at our well established production unit. 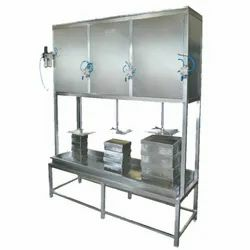 The provided pasteurizer is widely appreciated by our valuable clients for its easy to operate and low maintenance features. Further, this pasteurizer is rigorously tested by our quality examiners against various quality parameters. Pasteurize the milk to required temp. Looking for Paneer Heating System ?